Round Balusters | Steel Supply, L.P.
Balusters are an integral component and decorative element of many railing projects. A large selection of Forged Steel and Cast Iron Round Balusters are featured below. "Round" refers to the shape of the ends of the Baluster. 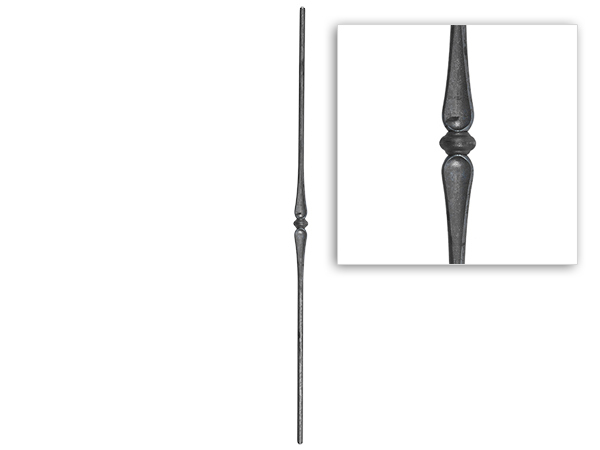 Typically, Round Balusters are placed in between Pickets to create a unique design aesthetic, but they can also be used as a picket. These Round Balusters will need to be cut to specification and can be welded to Cast Iron and Steel. The only limitation on your railing project is your imagination!